Today's New World Of Real Estate: Global Exposure For Your Home Simply Means $. 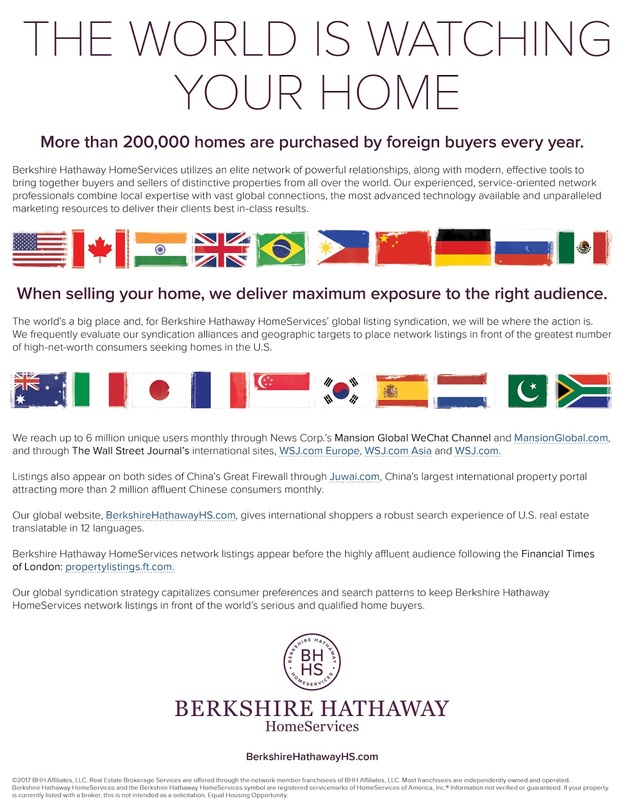 Global Exposure For Your Home Simply Means $. Only ONE Real Estate company translates your home's information into 12 languages INCLUDING going behind the fire wall in China. With BILLIONS of dollars being invested by foreign nationals in the US...getting the most from your home demands the best international exposure.